Give naloxone. Save a life. A community of heroes, stepping UP! With the United States in the midst of an opioid epidemic, community members are often the first responders during an overdose and can help an overdose victim while emergency services from 911 are on the way. 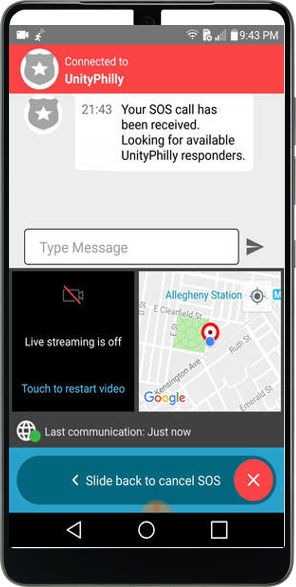 People who download UnityPhilly can send an emergency signal if they experience or witness an overdose. 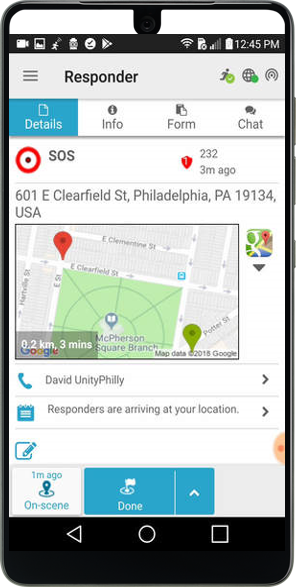 Also, everyone with UnityPhilly can respond to an emergency signal and bring naloxone to an overdose event. Sending an emergency overdose alert will automatically send a call to 911 to dispatch an ambulance to the scene. Pennsylvania’s Act 139 (the “Good Samaritan Law”) allows any citizen in the state to receive and carry naloxone (Narcan®), a medication that temporarily blocks the effects of opioids and stops an overdose. The law protects Good Samaritans who respond to overdoses. 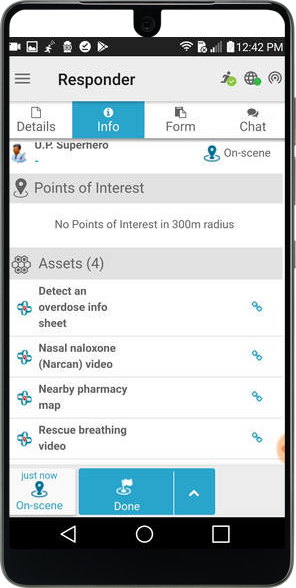 The UnityPhilly app helps people who carry naloxone respond to an overdose emergency.